Clear color. Spicy aromas of cinnamon, coriander, celery, cardamom, orris root, lavender, and juniper with a satiny, crisp, dryish light-to-medium body and a smooth, interesting, very long ginger, honey, and caraway finish. A zesty gin with a spice cabinet of flavors that will make a great martini or Gibson. Bottom Line: A zesty gin with a spice cabinet of flavors that will make a great martini or Gibson. 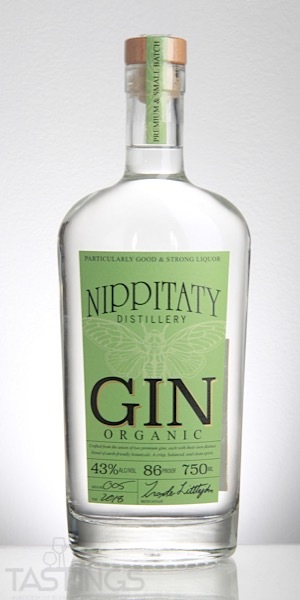 93 • Nippitaty Distillery Gin 43% (USA) $32.99. 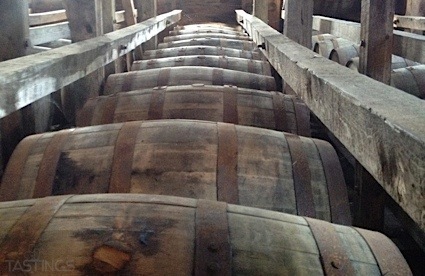 Nippitaty Distillery Gin rating was calculated by tastings.com to be 93 points out of 100 on 1/17/2019. Please note that MSRP may have changed since the date of our review.